Your mobile device wasn’t just hungry in 2013. It was pretty much a glutton. In fact, consumption of mobile data skyrocketed in the United States—nearly doubling—in 2013. 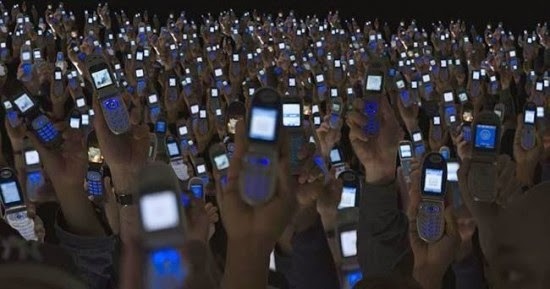 Way back in 2012, consumers used a paltry 690 megabytes a month over cellular networks. This year? A whopping 1.2 gigabytes per month. Yes, we said “Giga.” All this from Chetan Sherma, the consultants for wireless carriers—in their new report on industry trends. So, what caused this huge jump in consumption? The Breaking Bad finale? No, of course not. And, yes, actually that’s part of it. Here are a few reasons mobile consumption went so big in 2013. LTE Technology. Now that the 10 times slower 3G technology has been supplanted with the fourth-generation technology of LTE in a more widespread fashion, the quicker times allow for bigger downloads, and higher resolution streams. Bigger smartphone screens. As smartphone screens become larger, more high resolution files can be sent for viewing. Not to mention the larger files sizes possible with iPads and tablets. More streamed programming available. Hulu, Netflix, GooglePlay…the list is endless. And now that individual networks are also offering up their own content in a streamed format, there are more ways to stream your favorite shows than ever before. This trend toward more and more mobile consumption doesn’t show any signs of stopping, either. 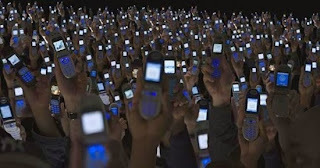 Cisco has identified 2016 as the year mobile traffic will exceed that of wired devices like desktop computers. 2016. Blink and it’ll be here. Everything’s going mobile. Fast. Better have an entertainment information and rich media supplier all ready to go there with you, right?